Started in 2005 and continuing to grow exponentially. Sandip Wadekar is the man behind progress of Sagar Alu Glass System. From 550 Sq. Ft. Office at Warje, Pune with 3 workers in 2005 It's grown up to 3500 Sq. Ft. Workshop as well as Office at Nanded Phata, Pune having over 30 workers in current scenario. Over 10 years of experience as supplier and manufacturer of a wide variety of aluminium and glass products we have achieved a remarkable place in the market. Our Products are strong in terms of strength, durability and trouble- free usage for years. Sagar Alu Glass System has gained a reputation for professionalism and quality. We also have received recognitions as well as Testimonials from well and up to the expectation work done for many well known clients. Sagar Alu Glass System also offers a wide variety of partitioning, depending upon your requirements. Not only provides but also suggest the right kind of partitioning to you where we consider a range of factors including lighting, level privacy, sound transmission, level of safety and security and the image. 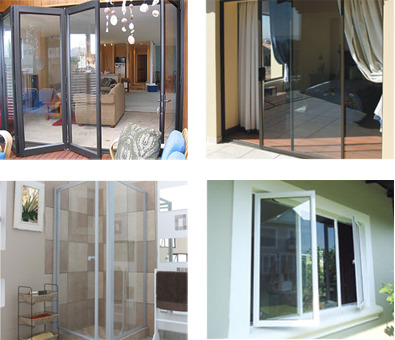 Our products include Sliding Windows, Partitions, Structural Glazing / Cliding, S S Railings, Composite Panels, Shower Glass Cubicles, Patch Fittings, Spider Fittings, Aluminium Trading, Glass Trading and Powder Coating. We also provide customized designs and manufacture these products according to our clients' needs. We offer multiple services through one company. Being a partner in another firm we are also into Powder Coating. Our workshop is having most modern designs, machineries and production systems, resulting in work of the highest conformance to standards.